Dr. Stephen Patek has published more than 40 peer-reviewed papers in diverse application domains. He has been involved in diabetes technology research since 2007, contributing to control algorithm design efforts for UVA’s JDRF-funded “artificial pancreas” project. His recent work focuses especially on interactions between human behavior (eating and exercise) and automation support for maintaining blood glucose concentration close to normal levels. 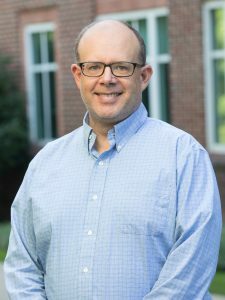 Dr. Patek also serves as the Associate Director of the Wireless Internet Center for Advanced Technology at UVA, which addresses issues of information management in mission critical wireless systems. His recent work within the WICAT addresses protocol mechanisms for dynamically allocating bandwidth for end-users operating in constrained networks, with applications in reporting health data to back end systems. Dr. Patek received his B.S. in Electrical Engineering from the University of Tennessee in 1991. He received his M.S.E.E. and Ph.D. degrees from the Massachusetts Institute of Technology in 1994 and 1997, under an ONR Fellowship. In his free time, Dr. Patek enjoys photography, listening to music and spending time with his family.